Home / Can’t sleep before a race? Can’t sleep before a race? 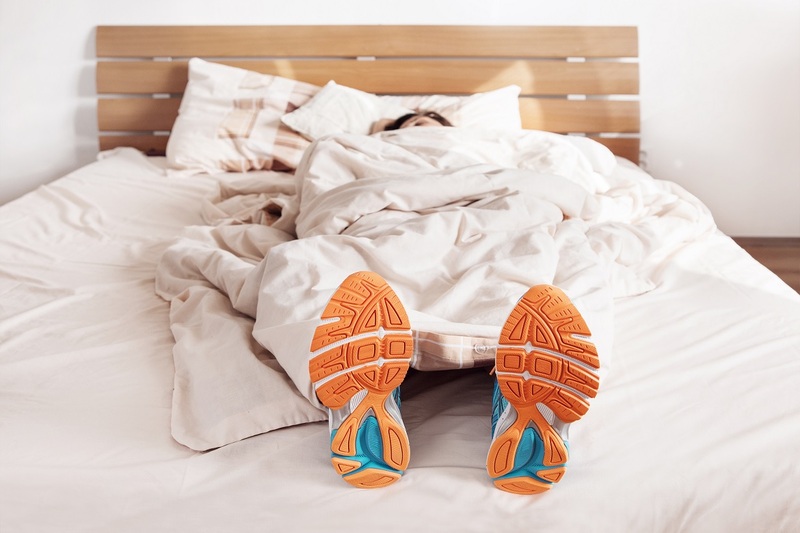 As if the prospect of competing at the Gold Coast Marathon wasn’t nerve-racking enough, many athletes find that it’s difficult to sleep soundly the night before a big competition. Maybe you find that (mostly unwarranted) worrisome thoughts run through your mind, or perhaps it’s simply a mixture of anticipation and excitement that keeps you lying awake. 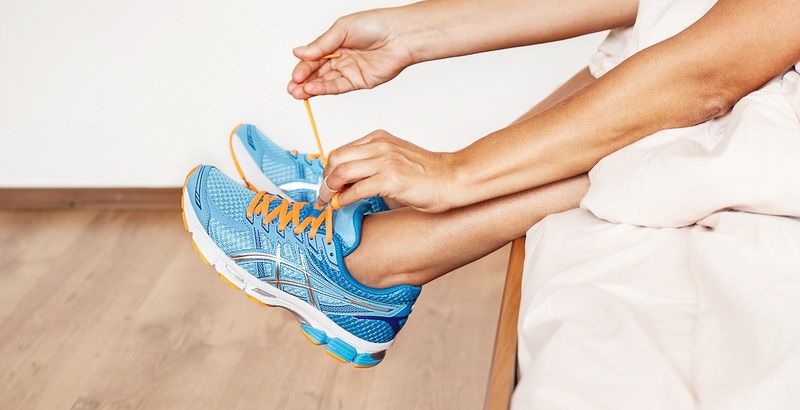 Either way, no one likes tossing around as they count down the hours of sleep they’ll get if they fall asleep right now, especially the night before a race. If, like many competitive athletes, you have trouble getting quality shuteye before a competition, you may draw comfort from studies that refute the idea that a lack of sleep hurts race performance. A 2007 review paper by Thomas Reilly and Ben Edwards at the Research Institute for Sport and Exercise Sciences in Liverpool sifted through a variety of studies on the impact of sleep and performance. The data they collected from a myriad of studies suggested that while mental cognition was lessened, physiological markers of endurance performance were surprisingly stable, even after a few days of poor sleep. Reilly and Edwards demonstrated that leg strength, fatigue resistance and oxygen demand at various speeds on a treadmill were all unaffected by one night of poor sleep. In another study, researchers had 10 men do all-out, 20-minute cycling time trials. The control group could sleep normally while the other group arrived at the research lab at 11pm and were not allowed to sleep until they had completed the time trial at 1pm the following afternoon. The control group covered an average of 7.68 kilometers during their 20-minute cycling time trial. Surprisingly, the no sleep group performed almost the same. They averaged 7.62km and physiological measurements, including average heart rate, were nearly identical. This may not be such a shock to some veteran runners who’ve set personal bests after tossing and turning the night before the race. 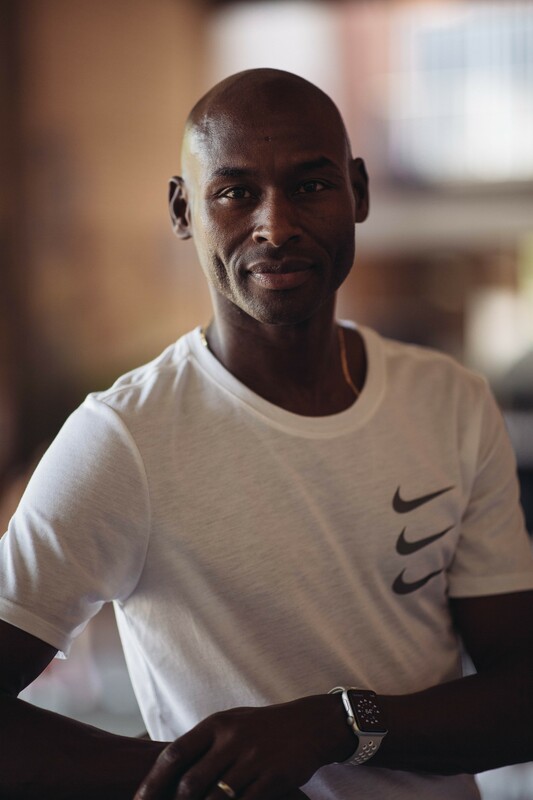 I personally know many elite athletes who have told me over the years that they didn’t get a wink of sleep before major races, yet went on to win, qualify or set personal best times. But what’s the upside of this? Can you train just the same when you skimp on sleep? While Reilly and Edwards’ review found that the body can physiologically perform at the same level when sleep deprived, they also found that it doesn’t like to. 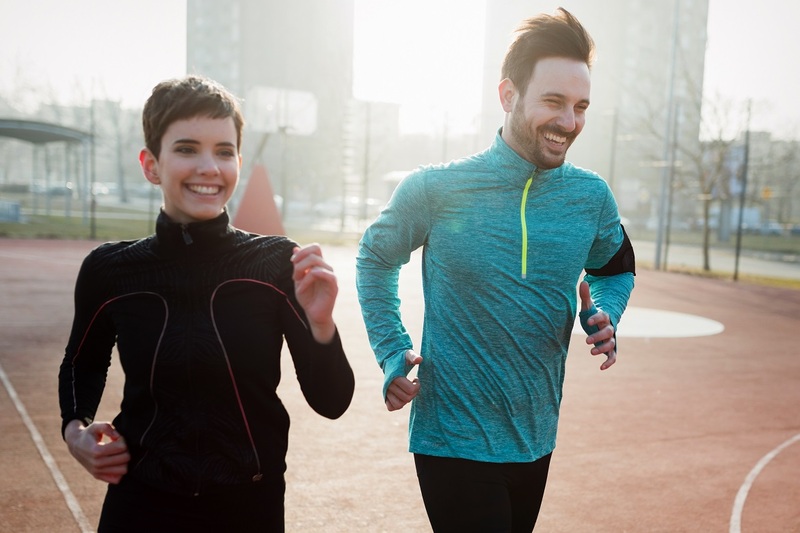 So, while you may not consume any more oxygen when running at a given pace when tired, you’ll perceive that you are working harder than you would if you were rested. Across multiple studies, subjects rated their perceived efforts higher when sleep-deprived. Reilly and Edwards suggest that this may be because the brain and the nervous system are the biological structures that need sleep the most. While your heart, lungs and legs are ready to go at full-tilt even when sleep deprived, your brain and its neural system are sluggish and tired. This is demonstrated in the previously mentioned study on Dutch cyclists. The researchers also had both groups estimate how far they had ridden during their time trial. The control group guessed, 7.2km, pretty close to their actual output. However, the sleepless group estimated only 6.51km — almost one kilometre short. One area that Reilly and Edwards did not cover in as much detail is the effect of chronic sleep deprivation on general health and well-being. This was addressed by a landmark study by Karine Spiegel, Rachel Leproult and Eve Van Cauter in a 1999 article that’s been cited over 1500 times since its publication. Speigel et al. used 11 young men restricted to four hours of sleep for six nights in a row. A range of hormonal and metabolic markers were measured throughout the course of every day. Worryingly, the young men, all between 18 and 27 years old, showed a trend towards a swath of undesirable metabolic and hormonal changes throughout the week. Levels of cortisol, the ‘stress hormone’ connected with overtraining in runners, increased markedly, and glucose tolerance dropped. These signs are all classically associated with aging. 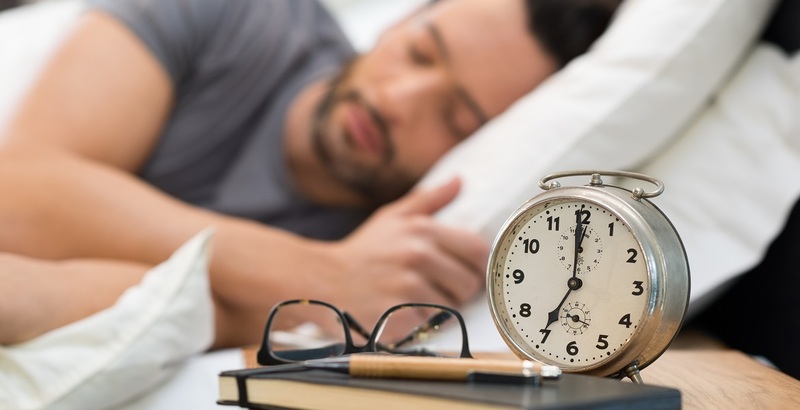 At the end of the week, the subjects who had poor sleep for six nights in a row exhibited hormonal levels that could have been mistaken for those of a 50 or 60-year old. Fortunately, these changes were reversible after several days of extra sleep. Similar investigations have also showed that chronic sleep deprivation is linked to a drop in your immune system’s ability to fight off infection, hinting that training on little sleep is putting you at risk for a cold or sinus infection. After a poor night of sleep, it’s likely you’ll be very unmotivated and cognitively feel like you’re not able to perform at your best. In training, this might lead to you skipping sessions for fear of them not going well. In a race situation, this likely leads to increased nervousness or negative thinking, which can be detrimental to performance. However, I urge you to use this research, as well as the stories of successful runners who have performed well on no sleep, to stay positive on Gold Coast Marathon race weekend should you have a bad night’s sleep. Reilly and Edwards also provide one minor tip for getting through a day without as much sleep as you’d like. Consume more carbohydrates. Staying awake for longer necessitates more energy and hopefully consuming some extra calories can hold you over until you can get a full night’s sleep. Finally, always do your best to repay any ‘sleep debt’ you incur. Several long nights or early mornings in a row can make your hormonal profile age by decades, so make sure you get extra sleep to reverse that effect. Lara is a former World Junior Mountain Running champion and a two-time Australian 10,000 champion. 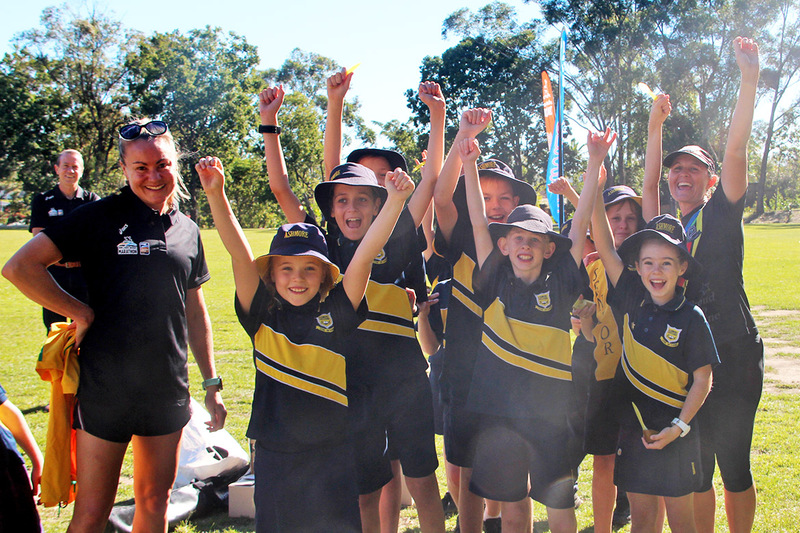 She is also a four-time World Country Championships representative and has represented Australia at the World Athletics Championships and World Half Marathon Championships. 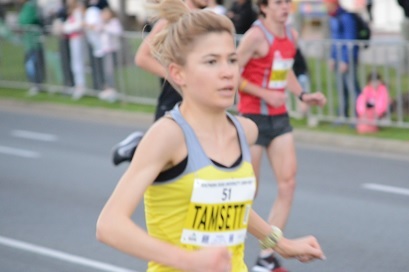 Lara won the 2011 ASICS Half Marathon (1:12:19) and 2013 Southern Cross University 10km Run (33:05). She is the online editor for Run For Your Life magazine, a bi-monthly, full-colour magazine containing interesting and valuable information for runners at all levels. Visit r4yl.com.au for more information. Posted in News and tagged Lara Tamsett, Race Week, Training.